Joel Bowman: Thanks for taking the time to speak with International Man, Marco. Before we get into some specific details regarding cryptocurrencies, maybe you could give us some of your own, personal background in the space. When did you first come across Bitcoin and how exactly did you get involved? Marco Wutzer: I have been using and investing in digital currencies for two decades. The first project I got involved with was e-gold in 1997. It was popular at the time but no longer exists. In 2003 I invested in the Digital Monetary Trust, an anonymous online payment system based on electronic money. It was run out of Dubai by a group of libertarians and a cryptography pioneer. However, due to it’s centralized design it eventually failed. In 2010 I came across Bitcoin, the first decentralized, trustless cryptocurrency with no single point of failure. I immediately realized that this was going to be the future of currencies but there were still a lot of question marks. Bitcoin was trading under one dollar back then. There were almost no users and no exchanges. Nobody knew if Bitcoin’s algorithms would stand the test of time or if it would get hacked. These were the exciting early days when only anarcho-capitalists and computer geeks were involved with Bitcoin. I was living in Buenos Aires, Argentina at the time and electricity was heavily subsidized by the Kirchner government. So together with a group of friends we got into Bitcoin mining. That was before specialized mining chips and huge data centers dedicated to mining cryptocurrencies existed. It was the Wild West of crypto. Of course, you were part of that group as well, so you know all about it. I was also an early investor in some of the newer cryptocurrencies that came after Bitcoin, the so called “altcoins”. JB: For readers who are just now learning about this new asset class, who may have heard about Bitcoin, say, but who are unsure as to exactly what’s involved, can you give us a basic overview, including some of the advantages that cryptocurrency offers people over government – that is to say, fiat – money? MW: The way cryptocurrencies such as Bitcoin work imparts them with two major advantages that make them vastly superior to fiat currencies such as the Dollar or the Euro. Fiat currencies are backed by nothing more than the trust in a corrupt government. Criminal, mafia-like monopolies of force that have turned into the world’s number one religion. Fiat currencies are unblemished by success, as famous speculator Rick Rule likes to say. In other words, they all eventually become worthless because these corrupt governments create ever-increasing amounts of their currencies, leading to inflation and the loss of purchasing power. This is especially harmful to the middle and working classes as they generally have no good understanding of these financial dynamics and don’t know how to protect themselves. Even the almighty dollar has lost well over 90% of its value since the creation of the Federal Reserve in 1913. Cryptocurrencies, on the other hand, have a predetermined total supply of tokens - 21 million in the case of Bitcoin. This is written into the Bitcoin code, the DNA of the network, and is guaranteed by design. So right away you have an absolute guarantee that nobody can tamper with your money. Just ask the people of Turkey, where megalomaniac dictator Erdogan is quickly destroying the value of the Turkish Lira, wiping out the life savings of millions of people. Incidentally Bitcoin is seeing record trading volume in Turkey. Another good example is Venezuela, where Bitcoin has become a crucial lifeline for many, ensuring their survival. Billions of people around the globe, outside of the few developed countries, suffer from worthless currencies. This makes it extremely difficult for them to save and accumulate capital in order to get ahead in life. The second major advantage cryptocurrencies have over fiat currencies is that they are trustless. This means they are censorship-resistant and transactions are guaranteed. You don’t need to trust any middlemen such as banks. Nobody can stop your transactions and interfere with your business. You also don’t depend on anyone else for the safekeeping of your funds. You are self-sovereign with your money. You are the bank and you trade directly with other parties, peer-to-peer. In a world of endless bureaucracy and regulations, Anti-Money-Laundering & Know-Your-Customer rules and so on, this is a real blessing, creating a truly free market. Of course, cryptocurrencies are also cheaper to transact with and faster than the legacy banking system but their guaranteed, trustless nature is the crucial difference that sets them apart. It’s the reason why the entire world will evolve towards the use of cryptos over the next decade. 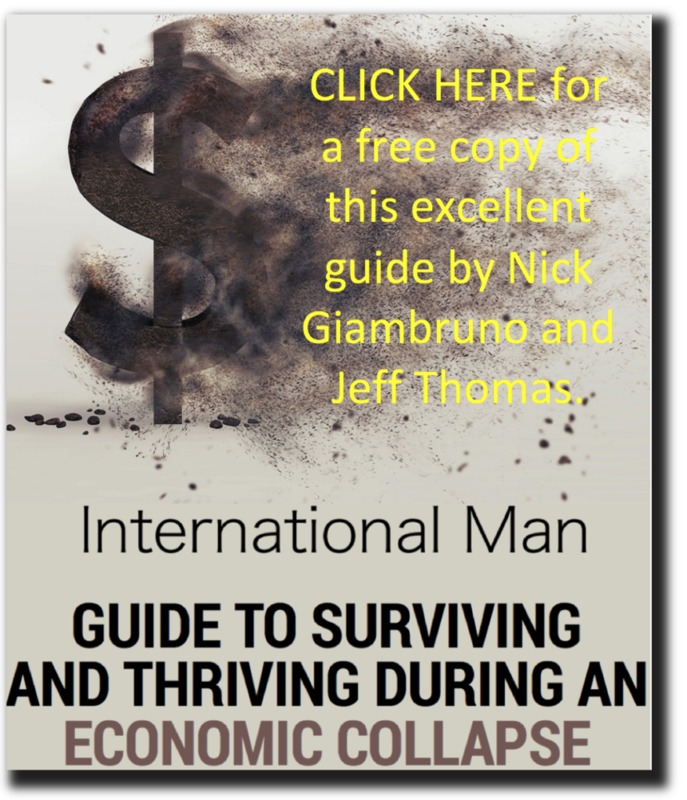 The sooner you get familiar with this new asset class the more money you stand to make. JB: The mainstream press has infamously pronounced the death of Bitcoin uncountable times in the past, only to be proven wrong each and every time. That said, the market is down significantly from its all time high earlier this year…and that’s got plenty of newcomers nervous about the space. Historically, large selloffs – of 60, 70 even 80% - have proven great times to buy...at least for those who had the mettle to HODL (as they say). Where do you think we are in this latest cycle and what catalysts do you see that might inspire a significant price movement in either direction? MW: Cryptocurrencies are a new asset class that is still relatively small. That makes them extremely volatile. I have seen many crazy bull markets followed by downturns of up to 90% over the last 8 years. I’ve heard cryptocurrencies pronounced dead so many times I no longer pay attention to such uneducated drivel. Even if you bought each short-term bubble exactly at the top, all you have to do is be patient. Each successive bull market eclipsed the previous all time high by an order of magnitude. Cryptos are in a secular bull market that will last at least another ten to twenty years. Even now we are still at the very beginning. People have to understand that this is a paradigm shift. At least 80% of the global economy will eventually run on blockchain technology. This is a fundamentally disruptive change such as we haven’t seen before in our lifetimes. Smart investors that get in now, during a bear market, will make life-changing money. If the current bear market lasts another week or another year is irrelevant. Simply keep the big picture in mind and continue to accumulate more tokens of the best projects. Eventually, almost everything we do will run on blockchain technology so that you won’t even need to exchange your cryptos back to fiat currencies. Fiat currencies are on the way out. It will pay off big time to be crypto rich and fiat poor. That being said, I think we are relatively close to the end of the current bear market and we’ll see the tide turn before the end of the year. The Blockchain Ecosystem is sucking in talent from Big Tech on an enormous scale. A massive build-out of this new infrastructure is well under way. Little by little, the elements of this ecosystem are becoming functional, creating more value, more opportunities and ever-stronger network effects. JB: As the first cryptocurrency in existence, Bitcoin began its journey as the only “game in town.” Since then, hundreds of new, so-called “altcoins” have entered the space, signaling an enormous market demand for alternatives to fiat paper. By 2018, Bitcoin had ceded up to two thirds of the market share to these altcoins, although it has recently gained back a majority of the market share by value (around 55% at time of writing). How do you see Bitcoin’s dominance in the market going forward? Do you envision a “Bitcoin 2.0” coming to ultimately replace the original, or will altcoins primarily exist to serve more niche purposes, leaving Bitcoin as a kind of “reserve crypto”? MW: Bitcoin is now ten years old. In many ways it is already outdated technology. However, network effects play a huge role and there is no other altcoin that comes even close to Bitcoin’s network effects. That’s why Bitcoin will be around for a very long time. Bitcoin works very well as a store of value but for everyday payments it’s simply way too slow. And with just a few transactions per second it lacks the necessary capacity. No single blockchain has enough capacity to support mass adoption by hundreds of millions or even billions of people and millions of applications. That’s why I predict that there will be several large, important blockchains. Keep in mind that the Blockchain Ecosystem is not only about money either. Blockchain technology has many applications. Securities, voting, gaming, social networks, media, databases, self-sovereign identity, supply chains and many more. A good case can be made for specialized blockchains that are designed for one specific use case. There are plenty of great investment opportunities across the Blockchain Ecosystem but there are even more overhyped projects that will go absolutely nowhere. So you need a good evaluation method to find the hidden gems. 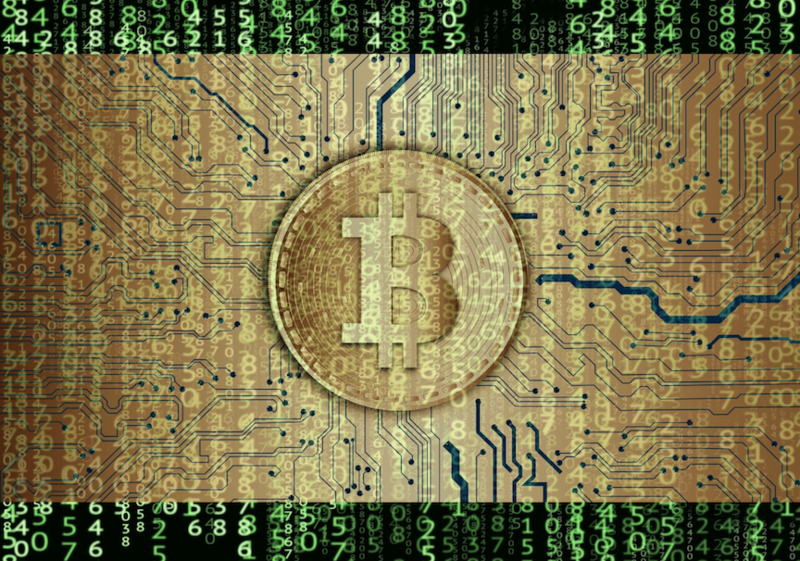 JB: Lots of the negative media sentiment surrounding Bitcoin and the crypto space seems to come from a lack of regulatory approval – or at least clarity – from the mainstream financial establishment. For instance, the SEC recently denied a round of Bitcoin ETF applications, from the Winklevoss Twins and others, which caused the price to trend significantly lower. First, do you see regulatory approval, whether by way of ETF or some other vehicle, on the horizon? Second, and perhaps more importantly, does Bitcoin ultimately require permission from the very industry it seeks to disrupt? Can it triumph over mainstream finance by appealing directly to individuals who are tired of Big Banks and their reliably dishonest, even fraudulent practices? MW: I couldn’t care less what some government agency somewhere thinks about cryptocurrencies. The whole point of the Blockchain Ecosystem is to create a global trustless network, accessible by anyone, anywhere, without having to depend on middlemen and without governments getting in the way. Government is the problem. It is not part of the solution. The Blockchain Ecosystem is creating the first ever truly free market on a global scale. Sure, the approval of a Bitcoin ETF in a big market like the US could lead to large amounts of institutional money entering the space. It could become a catalyst for the next bull market. But ultimately that is not a sign of success. The Blockchain Ecosystem needs to grow and mature in parallel to the legacy financial system until eventually it becomes powerful enough to completely take over. JB: While Bitcoin’s last bull run was making headlines around the world in 2017, many of the altcoins were returning multiple times Bitcoin’s gains, making some savvy speculators very, very rich. Are the “wild west” days of 1,000x gains over in the crypto space, or do you expect another round of outsized profits in the future? MW: Overall blockchain technology is still very young and undeveloped. It’s like the Internet in 1994. Right now, there are less than 100 million people who own cryptocurrencies of any sort. The world population is 7.7 billion. From that perspective, over 98% of the growth is still ahead of us. In terms of global money supply it is even more extreme. There are over $90 trillion dollars in the world. The entire Blockchain Ecosystem is currently worth a mere $200 billion. That’s 0.22% of the world’s money. The wild ride in cryptos over the last few years might seem extreme but as you can see, we are just getting started. There are still many opportunities for generating life-changing wealth with cryptocurrencies. JB: Any altcoins that you currently have your eye on…ones that you haven’t issued “buy” recommendations on for your readers, but that you have on your watch list? MW: I am hunting for profit opportunities in the Blockchain Ecosystem every single day. I analyze and sift through an enormous amount of projects. I follow the progress of dozens of good prospects and I stay on top of cryptographic breakthroughs and new technologies. My best money making ideas, however, are reserved exclusively for subscribers to my Disruptive Profits newsletter. Generally speaking, it’s the next generation, high-speed blockchains that are solving many of today’s issues, which will deliver out-sized returns to early investors. It’s one of the areas in the Blockchain Ecosystem that I’m currently focusing on. JB: Thanks for taking the time, Marco.